Salty foods, travel, hormonal changes, and mild edema can all lead to unwanted water retention. 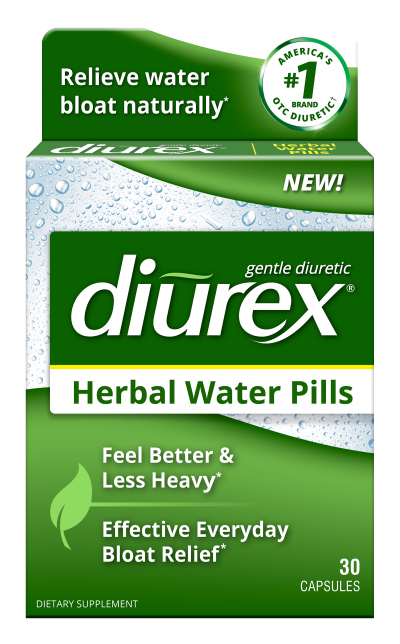 DIUREX Herbal is made from ten effective drug-free diuretics. The easy-to-swallow DIUREX Herbal capsules can be taken any time for relief from water retention*. 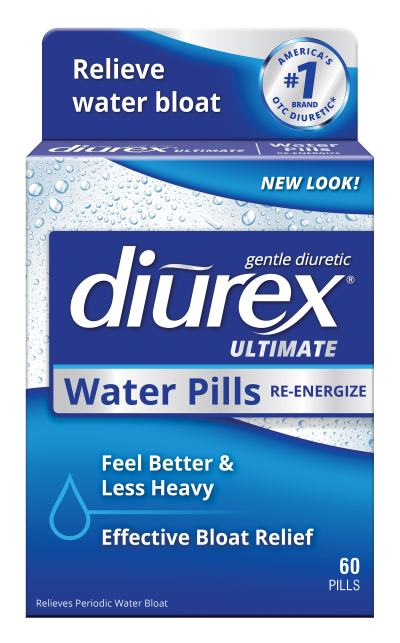 What are the main ingredients in Diurex Aquatrim Herbal Water Pills? The main ingredients in Diurex Aquatrim Herbal Water Pills are Vitamin B6 (as Pyridoxine HCl), Corn Silk Powder Extract, Paprika Powder, Watermelon Juice Powder, Apple Cider Vinegar, Buchu Leaf Extract, Juniper Berry Extract, Cranberry Fruit Powder, Green Tea Extract and Dandelion Leaf Extract. What is Diurex Aquatrim Herbal Water Pills used for? Diurex Aquatrim Herbal Water Pills help relieve bloating, swelling and water retention from foods, medications, travel and PMS (This statement has not been evaluated by the Food and Drug Administration. This product is not intended to diagnose, treat, cure or prevent any disease). 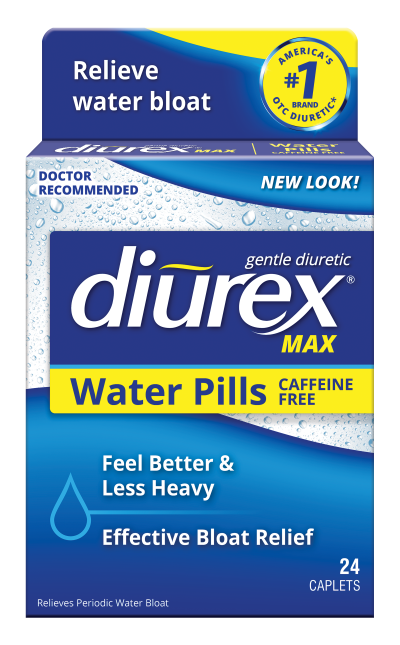 What are the directions for Diurex Aquatrim Herbal Water Pills? (Adults) Take one (1) capsule twice daily with a full glass of water. 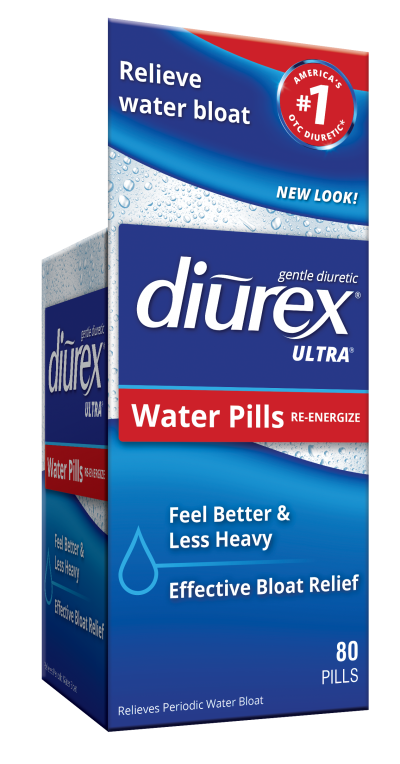 Drink 6 to 8 glasses of water daily while using Diurex Herbal. Can I take Diurex Aquatrim Herbal Water Pills with dietary supplements and/or prescription medications(s)? You should ask your doctor or pharmacist if you can take Diurex Aquatrim Herbal Water Pills with any specific dietary supplements and/or prescription medications. Can I take Diurex Aquatrim Herbal Water Pills while pregnant or nursing a baby? You should seek the advice of a doctor before using this or any other dietary supplement if pregnant or nursing a baby. Does Diurex Aquatrim Herbal Water Pills contain gluten? Diurex Aquatrim Herbal Water Pills is not manufactured with any gluten containing ingredients; however, this product is not tested for gluten.